Licensed and ESL educators, thinking about teaching English in China? Your timing couldn’t be better! With around 300 million English language students, China is, without a doubt, a job-seeking teacher’s market. Estimates show that China is currently experiencing a shortfall of around 100,000 English teachers and this figure set to increase over the coming years as the country’s enthusiasm for learning English continues unabated. Home to the largest education system in the world, China places a huge emphasis on the central role of education in its economic and cultural development, as well as the personal advancement of its citizens. Rest assured that there’s no shortage of options available for new grads and licensed teachers looking to teach English abroad, including teaching jobs in private language schools and international schools across the country. As the biggest ESL hotspot in the world right now, ESL teachers in China can earn a competitive salary and receive additional perks that may include free housing, airfare, medical insurance, and bonuses. Looking to teach English in China? Our ESL job board has the latest English teaching jobs posted daily! Private language schools are some of the most popular options for ESL teachers, as well as licensed educators, looking to teach English in China. The number of students enrolled at private schools in China increased from 29 million in 2011 to 40 million as of 2016 and is expected to reach a whopping 51 million by 2021. English language learners in China are also getting younger and younger, particularly in bigger cities, as parents in China increasingly attach great importance to English language learning for their children. The exponential increase in younger English learners, combined with a growing number of adults enrolling in business English classes to advance their career, means that the demand for native-English speaking ESL teachers in China is poised to explode over the next number of years. Private language school teaching jobs are most commonly found in larger cities, where demand tends to be higher than in rural parts of the country. Some of the most prominent and reputable language school groups actively hiring overseas teachers for teaching jobs in China include English First, Disney English, Maple Bear Global Schools and First Leap English. Private language schools in China will usually employ a combination of expat English teachers and local Chinese teachers. Class sizes usually run on the smaller side (usually 15 students). More and more, technology plays a bigger role in the ESL classroom, with most language schools in China using interactive whiteboards and computers. Over the past year, China has experienced more international school growth than any other country in the world. The growing popularity of international schools in China reflects not only the country's economic rise but also the fact that Chinese have long been passionate about learning English, which is regarded as an important key to success. Currently, more than 150,000 Chinese students are currently enrolled in international schools. The increased demand for international education in China has, in large part, been fueled by a growing number of middle-class Chinese families seeking to provide their children with a western-style English-medium education, with the aim of gaining entry into globally-recognized universities overseas. Currently, Teach Away is seeking licensed teachers across a wide range of subjects and grade levels for English teaching positions at international schools in China, including Maple Leaf International Schools. Demand for online English education is exploding among students based in China. As a result, several English teaching companies catering specifically to Chinese English language learners are seeking native English speaking applicants to fill a large number of online English teaching vacancies. Join the thousands of other professional educators who have partnered with Teach Away to support this dynamic young country in developing their education system. Typically, the minimum requirements to land a job in a private language school in China include a Bachelor’s degree and a TEFL certificate. Teaching experience, while preferred by certain employers, is not strictly required. For teachers looking to teach at an international school in China, qualified candidates should hold a Bachelor’s degree, a teaching license issued by the applicant's home country and at least two years of full-time teaching experience. Teaching in China on a tourist visa: Can it be done? Most private language schools in China offer a lucrative benefits package on top of your monthly salary as well as free flights and housing. Many jobs teaching English in China include additional perks such as contract completion bonuses, health insurance, ongoing professional development opportunities and free Mandarin lessons - meaning teachers in China have the unique opportunity grow their global skills by learning one of the world’s most in-demand languages. Monthly Salary Salary ranges for teachers in China vary depending on qualifications and experience. Teacher salaries are also adjusted to account for the significantly lower cost of living in certain locations in China. Recommended reading: What’s the average salary for a teacher in China? Want to know how much money you can make teaching in China? Use our Teach Abroad Salary Calculator to find out! Hold a minimum of a Bachelor's degree in any field. Be in possession of a passport from one of the following native English speaking countries - UK, USA, Canada, Australia, New Zealand, South Africa and Ireland. Have two years of prior teaching experience. The People’s Republic of China - home to more than 1.35 billion people, boasting an ancient history, rich culture and diverse cuisine. But don’t worry, that’s not all China has to offer teachers abroad. One of the world’s oldest civilizations, China is also now one of its economic superpowers and home to some of the world’s most high-tech cities. Expat teachers are increasingly attracted to living in China due to the economic opportunities the country has to offer, as well as its varied cultural experiences. The cost of living in China is substantially cheaper than what most teachers in China experience in their home country. Although your monthly salary may be lower than in your home country in some instances, it is likely to stretch much further living in China, leaving aside plenty of disposable income for weekend activities, travel and savings. Even in bigger cities like Shanghai and Beijing that tend to be popular with expat teachers, the cost of living still runs cheaper than western countries. Beijing is a modern city in every sense of the term. China’s capital city, Beijing is home to 25 million people and the third most populous city in the world. 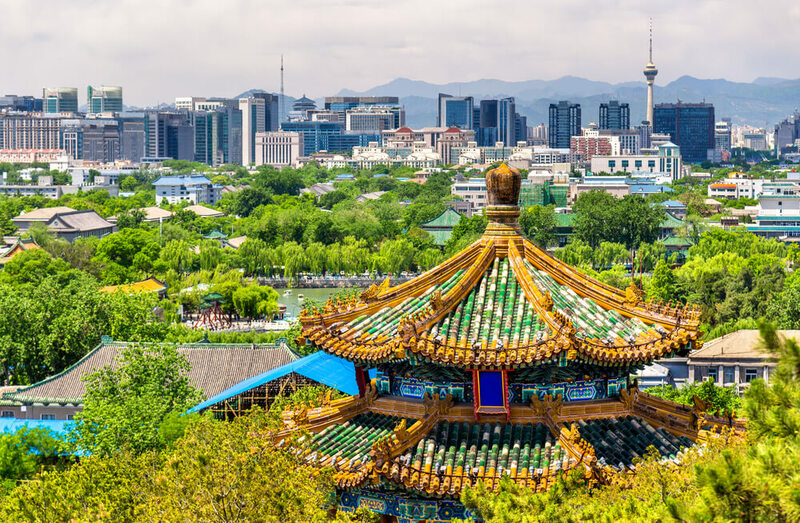 As one of the world’s oldest capitals, with a storied history stretching back over three millennia, over the past few decades Beijing has transformed into one of the most modern, dynamic and global cities in the world. As one of the busiest hub cities in Asia, Beijing is easily accessed by plane or high-speed trains that connect to other provinces. Beijing also offers an efficient Metro system, while taxis around the city are also affordable, with a starting fare of just 13 yuan. The ideal starting point for exploring the rest of China, Beijing is also the educational and cultural center of China, famous for its art treasures and learning institutions. Beijing boasts many cultural sites - including the Forbidden City and the Great Wall - as well as a thriving modern art scene. Countless natural and historical sites are a must-see in Beijing, including The Great Wall of China, the Ming Tombs, the Summer Palace and Hutong tours (rickshaws). Dining in Beijing is truly a gastronomical experience - be sure to try Peking Duck and the Imperial Court Food. For nightlife lovers, Beijing offers a wide array of options, from clubs, karaoke bars, teahouses and theaters. Teachers in Beijing, be sure to check out the latest trendy bar openings in Houhai neighborhood! As one of China's largest cities, Beijing offers a huge variety of teaching jobs with competitive salaries, including language schools and international schools with state-of-the-art amenities and teacher assistants in many classrooms. For teachers living in Beijing, it’s also a great city to learn Mandarin Chinese. Many hiring schools in Beijing even offer Mandarin classes as part of your benefits package! Located a short 26-minute bullet train ride from Beijing, Tianjin is a coastal city on the Hai He River. With a population of 14 million, Tianjin is smaller than Beijing, but the city is fast expanding. With plenty of western amenities, a growing expat population, excellent public transport system and great shopping opportunities, Tianjin is fast growing in popularity with teachers looking for the benefits of living in a big city without the higher living costs associated with Beijing or Shanghai. The northern part of the city is hilly and features the beautiful Jiushanding Peak. Tianjin features beautiful architecture, including a large number of western-style cathedrals, churches, and beautiful brick buildings. Thousands of stylish villas dot the city, thanks to the historical influence of European residents. The combination of traditional Chinese buildings and western style architecture has enhanced the beauty of the city. Popular sightseeing spots include the Tianjin Eye (Ferris wheel), Tianjin Italian Town and Ancient Culture Street. The city is famous for its seafood, due to its proximity to the sea. The city is also well known for its stand-up comedy scene and locals are known for being both humorous and easygoing. Nanjing in Eastern China was one of the first cities established in China. With around 8.2 million people calling Nanjing home, the city is growing in popularity with many licensed and ESL teachers looking to teach in China due to the increased demand for English language instruction. Nanjing contains four major industrial zones, and as such, is developing steadily. As Nanjing is an ancient city and a major tourist destination, the city offers a number of different festivals throughout the year, including a Kite Festival and the International Plum Blossom Festival. Nanjing has a humid subtropical climate and is surrounded by the Yangtze River and stunning mountains. Several natural lakes are found within the city - a welcome respite after a busy day at in the classroom. The city has lush hills, like Purple Mountain, which are covered with oak trees and evergreens. The area also boasts several natural hot springs for rest and relaxation. Besides natural beauty, Nanjing has many cultural heritage and sites. Confucius Temple, Nanjing Museum and Dr. Sun Yat-Sen’s Mausoleum are very popular attractions. For the shopper, Nanjing boasts fashionable shopping malls and markets that rival those of Beijing and Shanghai. Nanjing is the perfect mix of natural beauty and cosmopolitan amenities. 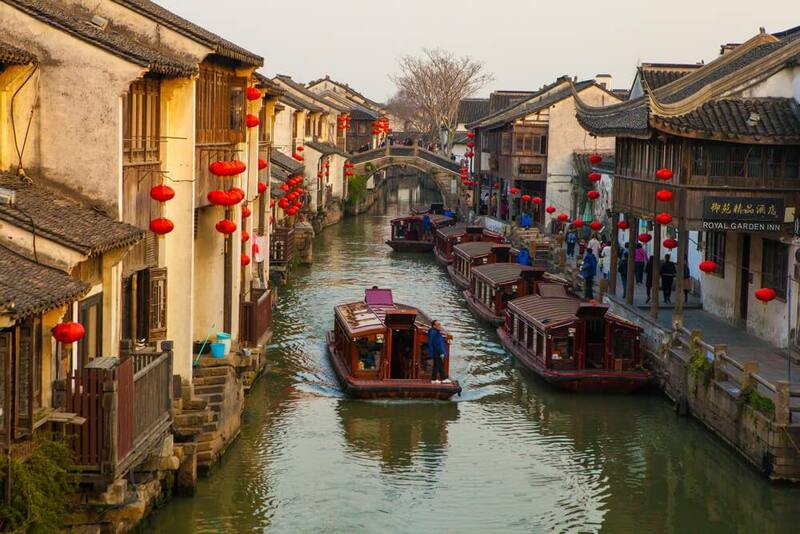 Suzhou, sometimes called the Venice of China due to its canals and waterways, is a city of 6 million people located approximately 90 minutes west of Shanghai. Described as a naturally beautiful place, Suzhou is known for its silk industry. As part of the Yangtze River Delta region, Suzhou experiences a humid climate, with hot summers and damp winters. Located in Eastern China, the city is renowned for its pagodas, intricate gardens, and old stone bridges. Pan Gate, a popular attraction, is part of the ancient city wall built in 514 BC that originally protected the city of Suzhou. A large number of Ming and Qing Dynasty preserved buildings are found within the city. 42% of the city is covered by water, and the waterways are dotted with traditional wooden boats carrying good and passengers. Beautiful, lush gardens are also very common in this mild climate. Locals refer to the city as “paradise on earth”, and this city is a peaceful and quiet alternative to bigger cities for those seeking teaching jobs in China. Shanghai is an enormous city comprised of over 23 million people. 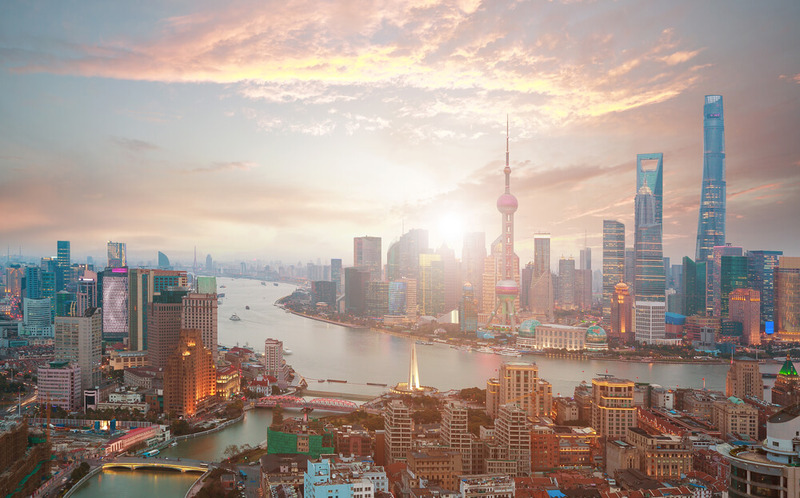 Located on the mouth of the Yangtze River, Shanghai is known one of China’s most international cities and is known globally as a cultural, financial and commercial hub. It boasts one of the fastest-growing public transportation systems in the world and a skyline that rivals that of Hong Kong, New York or Dubai. ESL teachers continue to flock to Shanghai to teach every year, due in large part to the high number of language schools around the city. Beautiful churches, temples and shrines are scattered throughout the city. In addition, The Bund, which is located on the bank of the Huangpu River, hosts stunning early 20th-century architecture. Styles range from neoclassical to art deco, and will delight any architecture fan. Skyscrapers abound, but the city has retained traditional features, such as the Yuyuan Garden and Shikumen lanes. Shanghai also offers many green spaces, where expat teachers can escape the urban sprawl. The city is a renowned fashion capital, and local designers creatively fuse western and traditional designs. Shanghai is home to several professional football teams, as well as several other professional sports teams. Like any major city, museums and galleries are numerous, and Shanghai residents are avid cinema and theater goers. Shanghai boasts some of the finest cuisine in China and offers both delectable local and international restaurants. Due to its proximity to Hong Kong, Shenzhen was established as the first so-called Special Economic Zone in China. 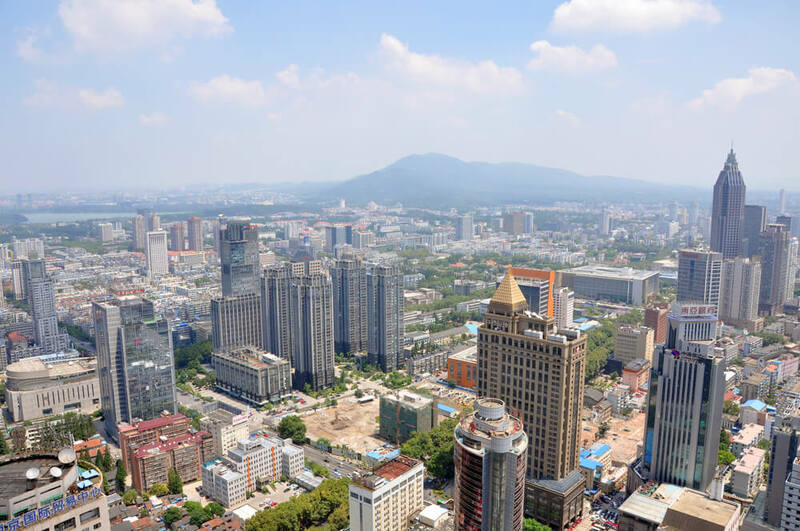 From its humble beginnings as a remote fishing village just a few decades ago, Shenzhen has experienced explosive growth and has since become one of China’s biggest financial and industrial centers. As Shenzhen is a huge draw for expats, entrepreneurs and international business investment, demand for English teachers has dramatically increased over the past number of years. 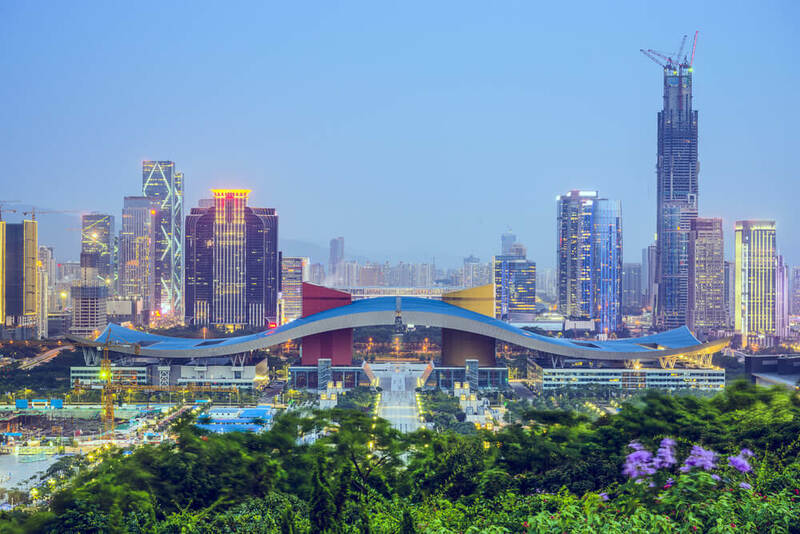 With a population of over 12 million, Shenzhen is a truly international city, boasting more than its fair share of skyscrapers, shopping malls, restaurants, bars and clubs. With a subtropical climate, Shenzhen enjoys warm weather year-round - great for expat teachers looking to soak up some sunshine on one of Shenzhen’s many beaches! 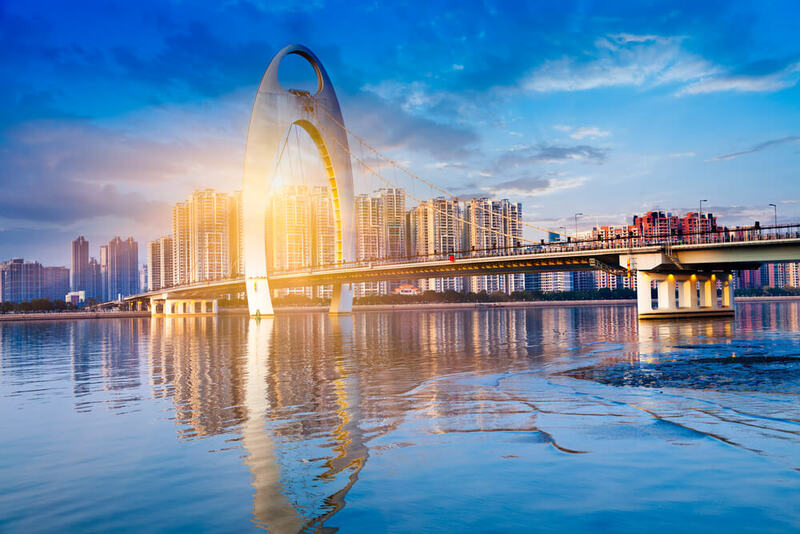 Literally meaning “Serene Waves”, Ningbo is a beautiful seaside city with a population of 7.6 million and ranks among the top five most competitive cities in China. 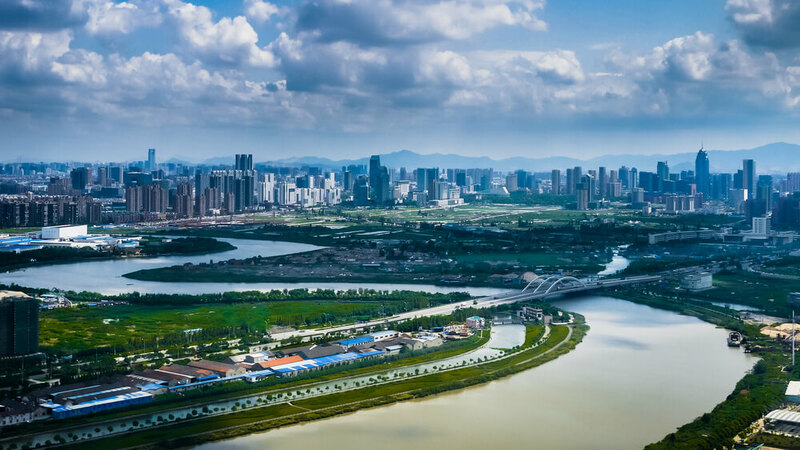 While the cost of living in Ningbo is relatively low in comparison to some of the bigger Chinese cities, there are plenty of western conveniences to be found in this modern, bustling city. Ningbo is one of China’s oldest cities, with a history dating back to 4,800 BC. It was originally known as a trade city on the ancient Silk Road about 2,000 years ago. Located on the midpoint of the Chinese coastline, today it has a port second only in importance to Shanghai. The city’s best tourist attraction is definitely the Tianyi Pavilion Museum, which is the oldest surviving library building in China. Built in 1516, it houses precious Confucian classics and rare local histories. The city center is bustling, and the demand for traditional handicrafts is booming. Screens and hand-plaited bamboo vases are popular local goods. The city also has strong Buddhist connections and boasts many temples. For example, the ancient Asoka Temple houses the Buddhist relics of Sakyamuni, the founder of Buddhism. The weather is temperate year round and Ningbo offers hot spring resorts for winter weekend getaways. With more than its fair share of private language schools and international schools, both ESL and licensed educators alike should have little trouble securing a teaching job in Hangzhou. Hangzhou is well-known for its natural beauty and is often cited as one of the top-10 most scenic cities in all of China. With many ancient relics, including temples and pagodas, Hangzhou attracts tourists and students of history alike. 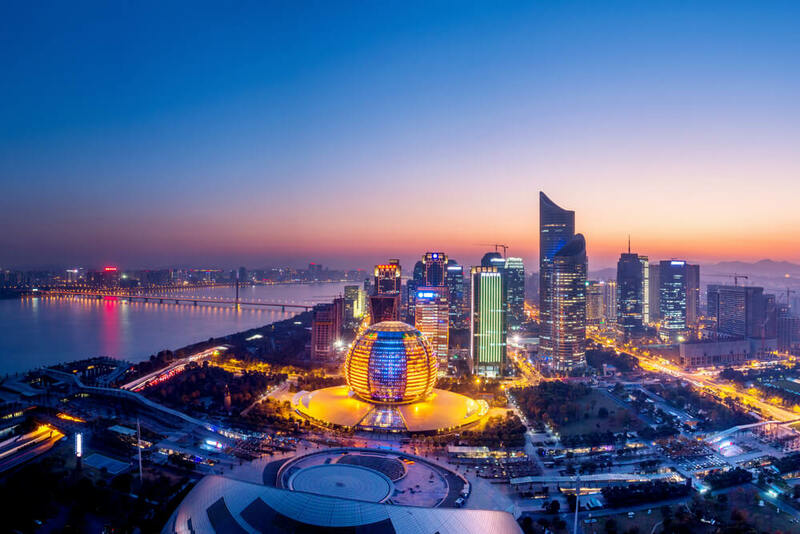 Located on the Hangzhou Bay, Hangzhou has been one of the most prosperous cities in China throughout history and has recently experienced its fair share of urban development and investment. Hangzhou is located in the Yangtze River Delta and has a population of 9.2 million people. Beautiful West Lake enhances the natural scenery of the city, and most of Hangzhou’s famous historic and scenic places are found surrounding the lake. Weather-wise, Hangzhou is neither too hot in winter nor too cold in winter, which makes it very comfortable year round. One important aspect of Hangzhou culture is tea, notably green tea. In addition, the local cuisine is touted as the best in China - make sure to try the pork wrapped in lotus leaves and steamed rice flower!. Teahouses and pubs are popular destinations for dinner, and overlooking West Lake with a cool drink in summer is the epitome of relaxation. For shopping, both locals and tourists visit Qing He Fang Street, which is a historic area showcasing luxurious silks, teas, parasols and fans. The city also has an international airport and numerous domestic routes. The new Shanghai-Hangzhou high-speed train takes only 45 minutes between the cities. Hangzhou is truly a natural paradise with the conveniences of a modern city. Chengdu is an ancient city in Southwest China, with a population of over 14 million people. The city enjoys a mild, humid climate. In contrast to the mild weather, Chengdu is famous for its incredibly spicy food. In Chengdu, flavorful cuisine is ubiquitous - the city features a high number of restaurants and bars. Home to some of the largest companies in China, Chengdu’s economy is booming. With an extensive rapid transit network and its own international airport, Chengdu is easily accessible from other major cities in China. Though Chengdu’s downtown core is expansive and devoted mostly to business and commerce, shops, amenities and nightlife are still easily found within the city limits. The city continues to grow, but is still well known as an enjoyable place to call home. In addition to ranking high for liveability, the people in Chengdu are known to be extremely laidback and friendly, and the city is also a popular destination for university students, offering some of the most prestigious programs in the continent. As the most populated city in central China, Wuhan is home to over 10 million people. Wuhan is a major hub for transportation, making it easily accessible from other cities, and a gateway to other large cities throughout the country. 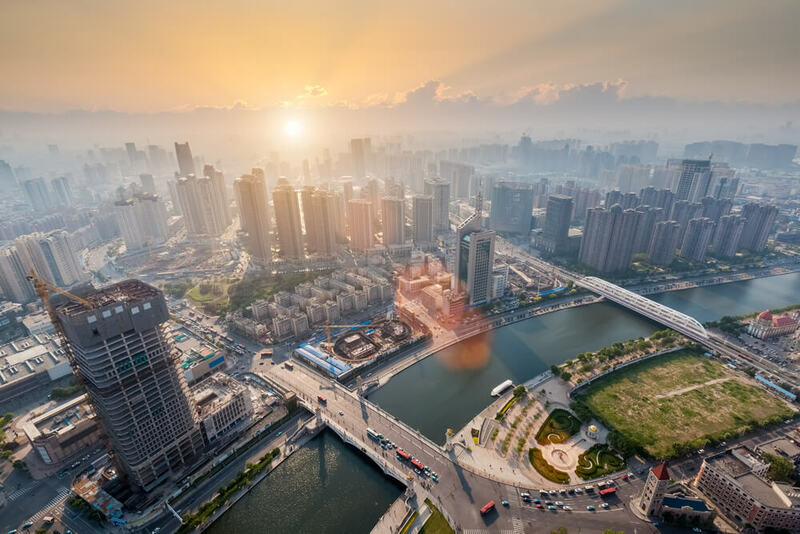 Wuhan has a less temperate climate than other surrounding cities - Wuhan’s hot, humid summer means that most tourists frequent the city in the spring and fall. Wuhan offers plenty of attractions, such as historic temples and gorgeous botanical gardens, but also offers some particularly quirky delights for visitors. Teachers in Wuhan will get to enjoy the city’s infamous breakfast foods, including the treats available in “breakfast alley”. Teachers in Wuhan will also delight in visiting Jiqing Street, an area of the city known for coming alive at night with buskers and amazing street side dining options. The most popular attraction is the Yellow Crane Tower, considered one of the great towers of China. 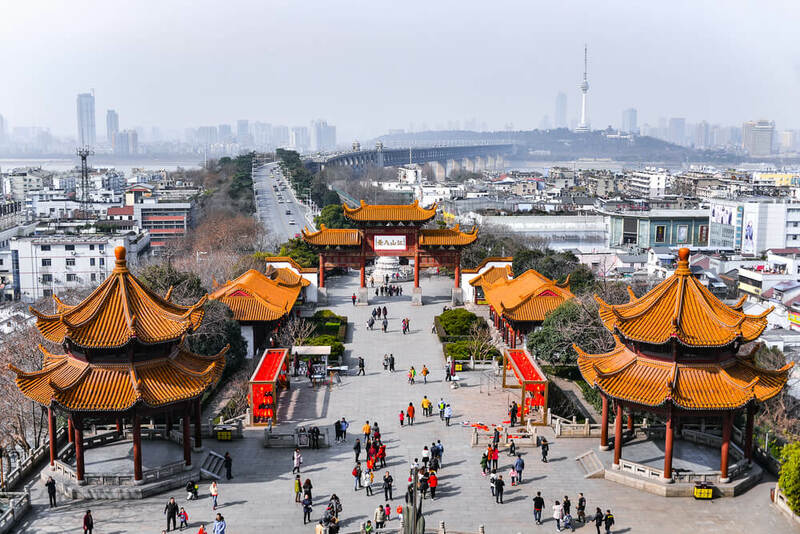 Sightseers will see almost the entire city of Wuhan from the top of the tower on a clear day and can spend time exploring the various sights of the park surrounding the foot of the Tower. With plenty to see and do, Wuhan is definitely a city for teachers eager to explore their surroundings and learn more about life in China. As the largest city in southern China, Guangzhou’s greater metropolitan area is the second biggest urban setting in the world. This scenic city is located on the Pearl River, less than two hours away from Hong Kong by public transportation. 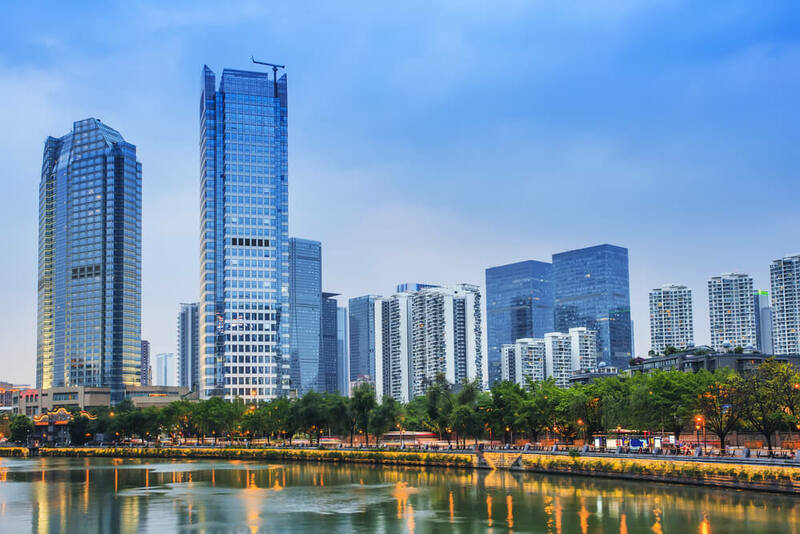 With an impressive transit network, Guangzhou is a large city that is very accessible. Though Guangzhou is an important trade city, it is also known for handmade sculptures, carvings, pottery, and embroidery. Artisans are a large part of Guangzhou’s cultural identity. The city’s lingual identity is evenly split, with half of the population speaking Cantonese, and half speaking Mandarin. China shares borders with the following countries: Afghanistan, Bhutan, Myanmar, India, Kazakhstan, North Korea, Kyrgyzstan, Laos, Mongolia, Nepal, Pakistan, Russia, Tajikistan and Vietnam. China has the second highest number of UNESCO world heritage sites - 50 in total to date. Every five days, a new skyscraper is built in China. In fact, last year, a property developer in China built a 57-story skyscraper in just 19 days! China has four megacities of over 10 million people, the highest number of any country in the world. Only 7% of the Chinese population categorize themselves as religious, making China the least religious country in the world. Pork is a huge staple of the Chinese diet - in fact, one out of every two pigs are located in China. As China has a single time zone, people in parts of the country experience sunset at midnight during the summer and sunrise at 10 am in the winter.